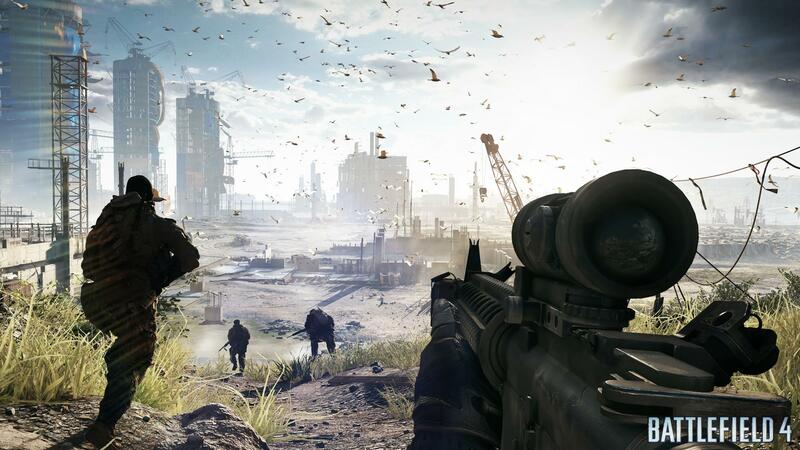 Fueled by the next-generation power and fidelity of DICE’s Frostbite™ 3 engine, Battlefield 4™ provides a visceral, dramatic experience unlike any other shooter. 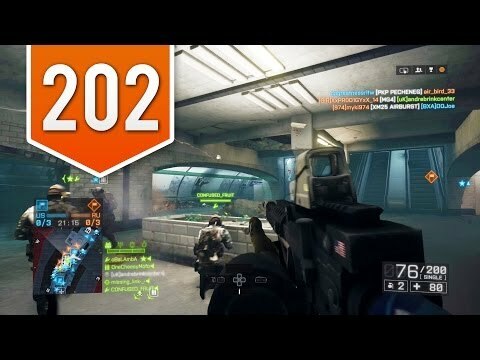 Only in Battlefield 4 can players demolish the walls of a building that once shielded the enemy, leaving them vulnerable to open fire. 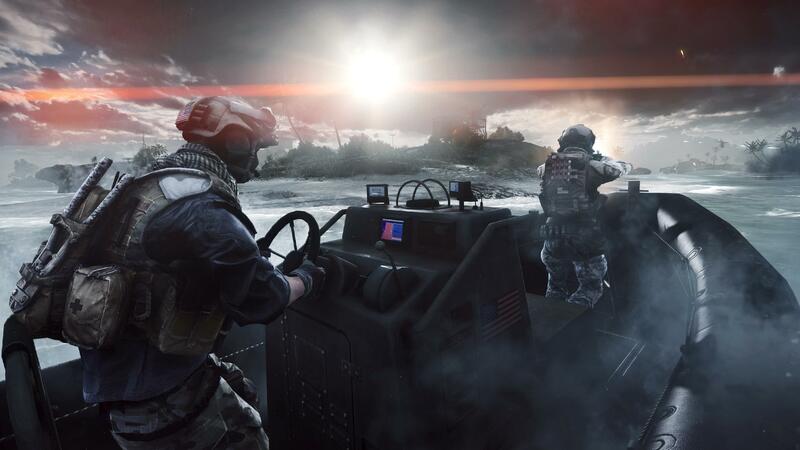 Only in Battlefield 4 can fans lead an assault from the back of a gun boat or in the air piloting a jet. 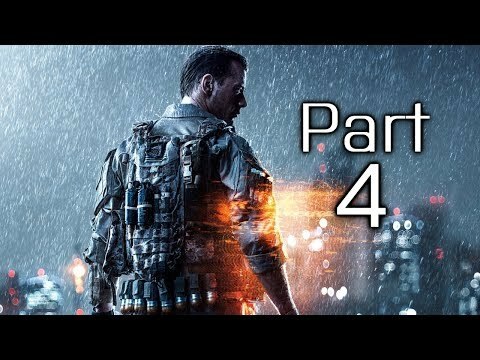 Battlefield 4 grants gamers the freedom to do more and be more while playing to their strengths and carving their own path to victory on massive, multiplayer maps. In Battlefield 4, more of these hallmark multiplayer features are woven into the single player campaign. The action is fluid, giving the players the perception that they are playing a movie – going from big to small action scenes, indoor to outdoor locations, and moving in and out of vehicles from land to sea to air. This is a playground where players decide how to lead their squad to victory. Premium provides a wealth of new content to keep the action going all year long. Premium members will have access to uniquely themed digital expansions packs and early access to five of the biggest and boldest game experiences to date for only $50. This includes Battlefield 4 Second Assault, which is available first on Xbox One. Each expansion will feature four new maps plus additional content and new updates every week to keep things fresh. From China to Russia - Maps & Modes – Battle it out on 10 maps playable across all seven game modes including the classic Conquest and Rush, in addition to two new modes called Obliteration and Defuse. The maps vary from the open Chinese metropolis in Siege of Shanghai and the violent seas of Paracel Storm to the flooded inner city streets of Flood Zone and the cold Soviet tank factory of Zavod 311. Next Gen – On the Xbox One gamers will experience massive, 64-player multiplayer battles running at a smooth 60 frames per second, both firsts on console. Using Kinect, players can peek and lean behind cover and use voice commands. 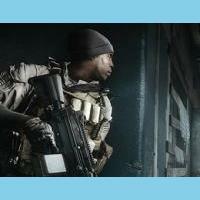 STAY CONNECTED TO BATTLEFIELD 4 WITH BATTLELOG The most advanced installment of Battlelog is set to deliver a new level of social integration that enhances the overall Battlefield 4™ experience. This superior gaming companion connects the Battlefield™ community from multiple devices by giving gamers a unique tool that provides a deeper and richer network inside and outside the game. Battlelog features a range of enhanced features, including: Anytime, Anywhere – No matter where players go, Battlefield is always at their fingertips. Whether they’re heading home on the bus, taking a lunch break at work or lounging on the couch, players can log into Battlelog and check out their stats, interact with friends and much more from their smartphone, tablet, browser or directly through their console. Battlescreen – Battlelog is now more seamless, offering a coherent second-screen experience to give players the chance to better enhance their game. Whether it’s highlighting attack points on the mini map, keeping track of squad members or playing as the team’s Commander, every move made in Battlelog reflects directly back to the game in real-time. Real-Time Load Outs – Gamers can now switch their weapons, change their load outs and check their progression at any time, all with real-time results in-game. Players can also select servers or even launch a match from their devices, making the transition between game sessions easier. Missions – Want to find out who is the best tank destroyer is or who can capture the most bases? A brand-new feature called Missions will allow players to custom create challenges for their friends to compete. Battlelog will also notify players when they have been kicked out of the number one spot so they won’t miss a beat to boot back up and fight for the title. Geo Leaderboards – Battlelog is introducing targeted, geo-localized leaderboards that will allow players to not only compete with everyone in the Battlefield community, but with people in their city, in their country or on their continent. This is a great way for gamers to rank up while making new friends, or even adversaries, on the battlefield. Powerhouse Videogame Brand Partners With Category Experts to Extend to New Markets, New Demographics LONDON, UK – July 16, 2013 – The Battlefield™ brand continues to demonstrate explosive growth as DICE, an Electronic Arts Inc. (NASDAQ: EA) studio, today announced a full slate of unique Battlefield- branded products for fans to enjoy. In anticipation of the Battlefield 4™ launch on November 1, DICE has hand-selected strategic licensing partners that will bring the beloved Battlefield brand to new retail sectors and new demographics this holiday. These category leaders give gamers a chance to engage with the Battlefield brand in new ways and further develop the profile of Battlefield in pop culture. 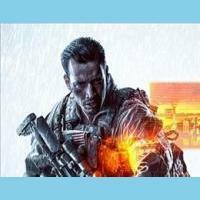 With a range of Battlefield 4 items, players will be able to create a deeper connection with this award-winning title. Licensed products include a Battlefield 4 novel written by esteemed author Peter Grimsdale that provides backstory about the game’s heroic squad, a high-end art book that dives deeper into the imagery of Battlefield 4 and a range of Battlefield 4 gaming peripherals to help you feel the intensity of the battlefield. The full list of products in the officially licensed Battlefield 4 collection are: Orion Publishing Group Battlefield 4 novel written by Peter Grimsdale 2. Titan Books Battlefield 4 art book in Standard and Limited Editions 3. Razer performance PC gaming peripherals and accessories, including mice, keyboards, headsets, messengers bags, and iPhone® cases 4. PDP performance Xbox 360 and PS3 controllers 5. Qpad premium PC mouse mats 6. Jinx clothing apparel and accessories including t-shirts, hoodies, hats, key chains and dog tags 7. Prima Games Standard and Collection Edition strategy guides 8. Cook & Becker Battlefield 4 artwork 9. Walls360 Battlefield 4 wall graphics 10. BigBen Interactive mobile device and tablet cases Winner of more than 20 critic awards at E3 2013 including Best of Show from GameSpot.com , Battlefield 4 offers players a glimpse into the future of interactive entertainment. 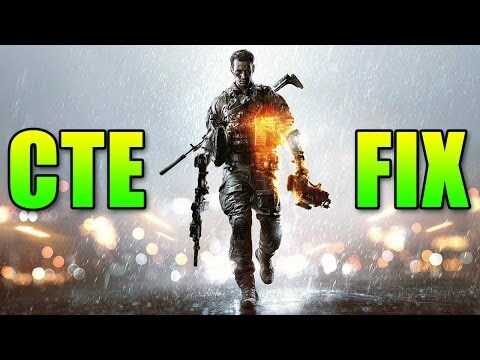 Powered by the advanced technology of DICE’s proprietary Frostbite™ 3 engine, Battlefield 4 will deliver a new era of first-person action, from a cinematic single player experience with dramatic, Hollywood acting performances to a multiplayer offering that will usher in the next generation of online warfare. 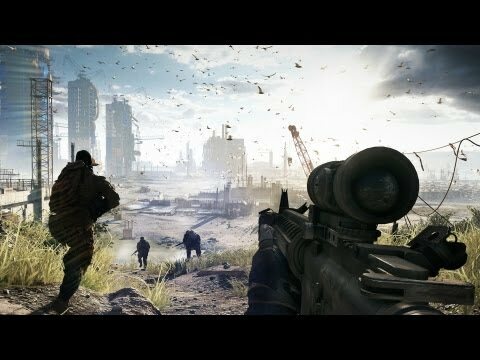 Battlefield 4 multiplayer introduces key innovations including Levolution, where a dynamic environment reacts to the player’s every move to ensure no two games will ever be the same. Players will also see the return of Commander Mode, a tug-of-war between two opposing players with a birds-eye view of the battlefield as they provide critical intelligence and powerful assets to their troops below. Battlefield 4 multiplayer will also feature epic 64-player battles running at a smooth 60 frames-per-second on Xbox One®, the all-in-one games and entertainment system from Microsoft, the PlayStation®4 and PC. Battlefield 4 will be available October 29 for the Xbox 360® videogame and entertainment system from Microsoft, PlayStation®3 computer entertainment system and PC. 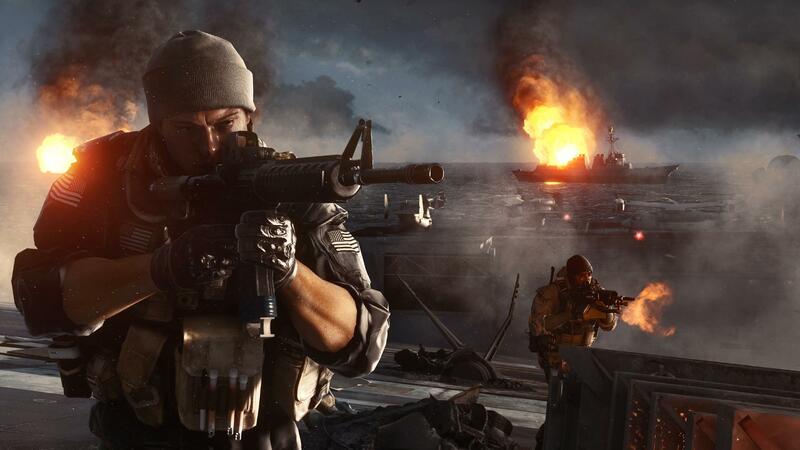 Battlefield 4 will also be available for Xbox One® and the PlayStation 4. EA REVEALS BATTLEFIELD 4 MULTIPLAYER -- THE NEXT GENERATION OF ONLINE WARFARE Celebrated DICE Studio Delivers a New Era of Battlefield with World-Class Multiplayer Gameplay Featuring Levolution, Commander Mode and Epic 64-Player Battles for Xbox One, PlayStation 4 and PC LOS ANGELES, Calif. – June 10, 2013 – DICE, a studio of Electronic Arts Inc. (NASDAQ: EA), today demonstrated the next generation of Battlefield 4™ at the Electronic Entertainment Expo (E3) in Los Angeles, California. DICE showcased “Angry Sea,” a stunning single-player demo at the Microsoft media briefing, “Xbox: A New Generation of Games Revealed.” DICE also debuted “Siege of Shanghai,” a spectacular 64-person multiplayer match at “The Download: EA 2013 Preview” press conference. Both software demos were running at a silky smooth 60-frames per second, even while rendering massive maps, vehicles and infantry, environmental effects and dynamic destruction. 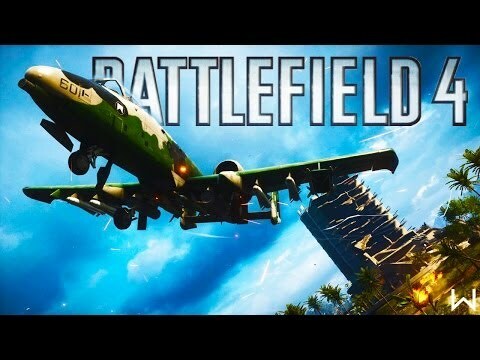 Gamers can tune into a live stream of Battlefield 4 multiplayer direct from the EA E3 show floor at: http://www.battlefield.com/uk. DICE also revealed two notable innovations in multiplayer: a game-changer called Levolution, and the return of the fan-favorite Commander Mode. Levolution creates a dynamic and emergent battlefield where gamers can use the environment to their advantage like cutting the power to a building to shroud their enemy in darkness or reducing an entire skyscraper to rubble to alter the battlefield. With Levolution, the environment reacts to the player’s every move and ensures no two games will ever be the same. Commander Mode places two opposing players at the heart of the situation room with a birds-eye view of the battlefield. It’s a tug-of-war match between two commanders as they deliver critical intelligence and powerful assets to their troops below to the turn the tide of the battle. Gamers will feel the rush of Commander Mode on current-generation and next-generation consoles as well as PC. For the first time, commanders can also take control from their iPad® or Android™ tablet. EA ANNOUNCES BATTLEFIELD 4 FOR XBOX ONE AND PLAYSTATION 4 The Next Generation of Battlefield Begins on November 1 Pre-order Now to Receive the Battlefield 4 China Rising Digital Expansion Pack GUILDFORD, U.K. – May 21, 2013 – DICE, a studio of Electronic Arts Inc (NASDAQ: EA), today announced that the highly-anticipated action blockbuster Battlefield 4™ will be available this holiday for early-adopters of the next-generation hardware systems: Xbox One, the all-in-one games and entertainment system from Microsoft, and the PlayStation®4. 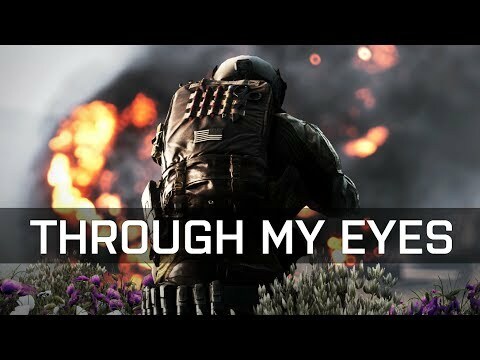 Powered by the advanced Frostbite™ 3 engine, Battlefield 4 delivers a genre-defining all-out war experience brought to life with unmatched visual and audio fidelity, superior character animations and dynamic destruction that ensures no two matches are alike. Battlefield 4 will be available November 1 for the Xbox 360® game and entertainment system from Microsoft, the PlayStation®3 computer entertainment system and PC. Battlefield 4 will also be available for the Xbox One and the PlayStation 4. Players that pre-order Battlefield 4 will receive the Battlefield 4 China Rising premium digital expansion pack at no additional cost*. 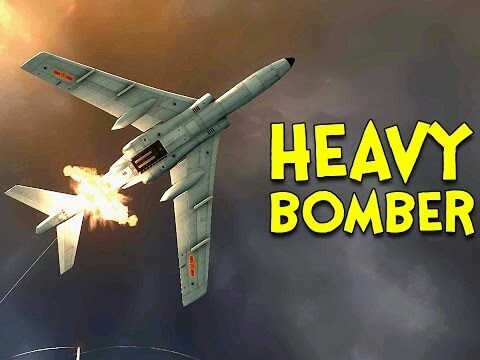 In this sprawling expansion, players fight for dominance across the vast and majestic Chinese mainland in four massive multiplayer maps, using all-new vehicles and high-tech military equipment. Separately, players that pre-order the Battlefield 4 Digital Deluxe exclusively on Origin™ will receive the base game, bonus in-game digital items, the Battlefield 4 China Rising digital expansion pack and access to the exclusive Battlefield 4 multiplayer beta*.